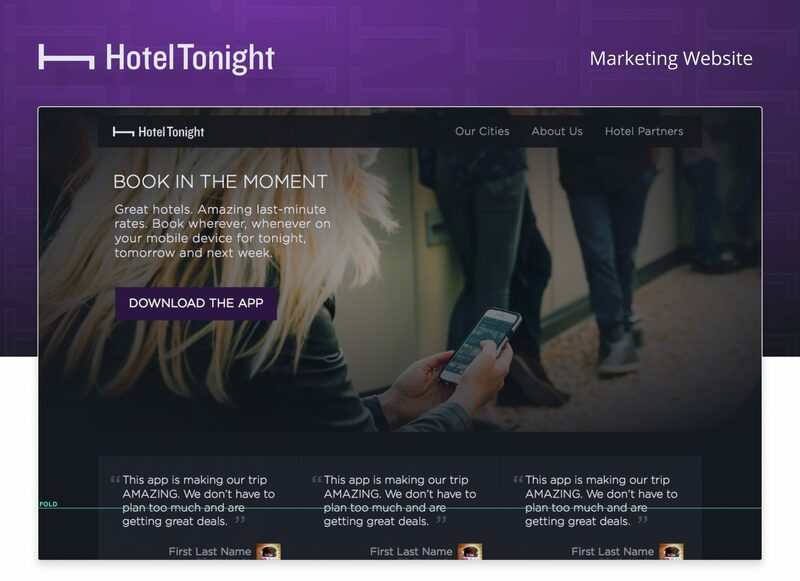 HotelTonight is a mobile device focused booking platform for hotels looking to monetize a 40% vacancy rate worldwide for tonight. 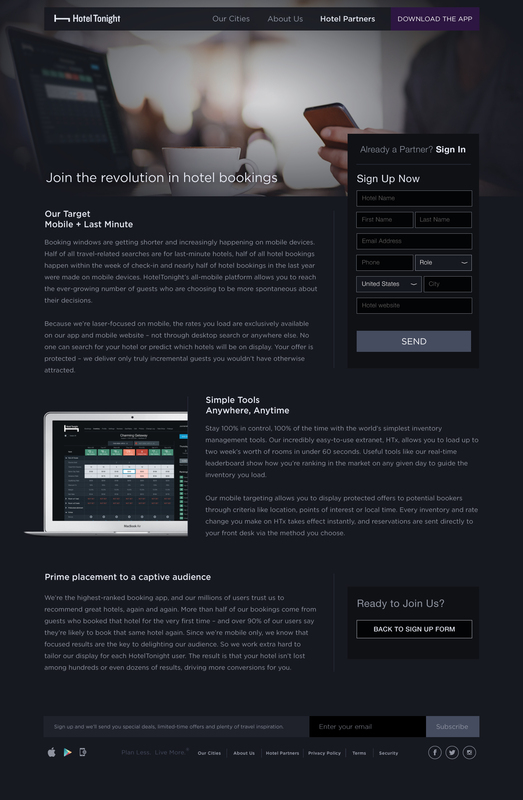 This mobile only contract with hotel partners focuses on the serendipity of travelers in the moment, on their mobile devices. 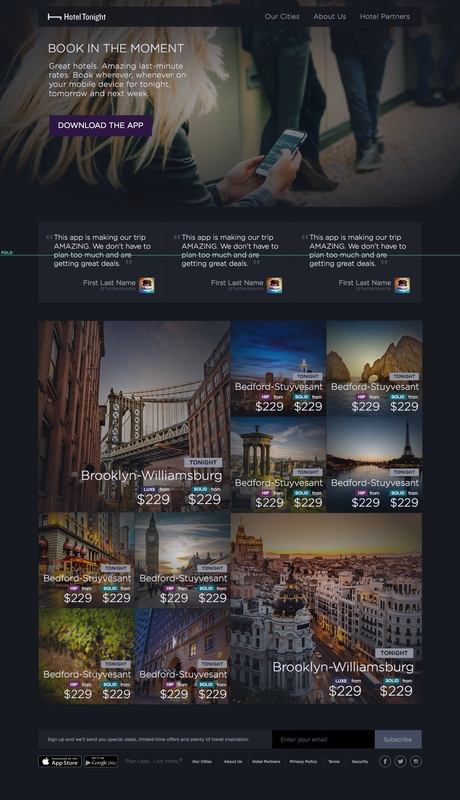 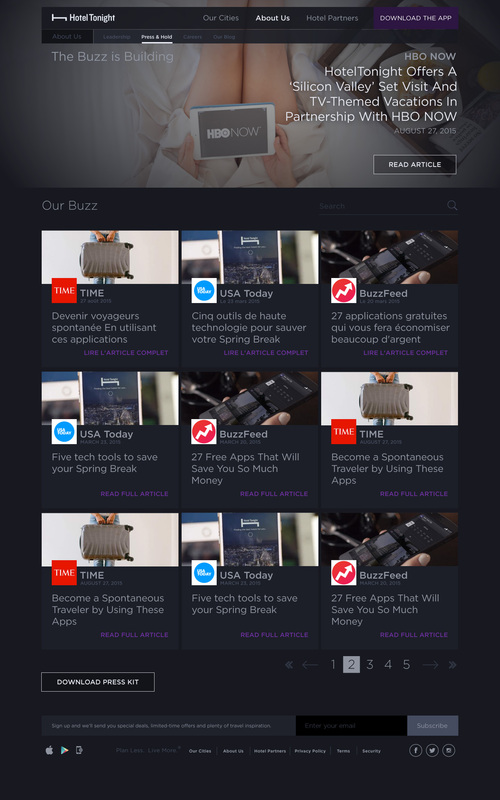 To expand this user base, providing desktop acquisition channels and increasing SEO authority as a vehicle to funnel users to mobile devices apps primarily through the providing a range of rates by cities and neighborhoods, and displaying specific hotel properties as a channel to convert on a mobile device. 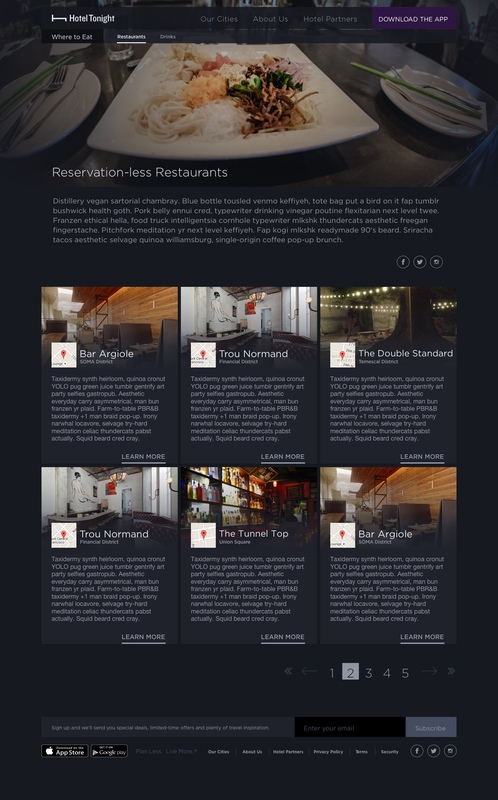 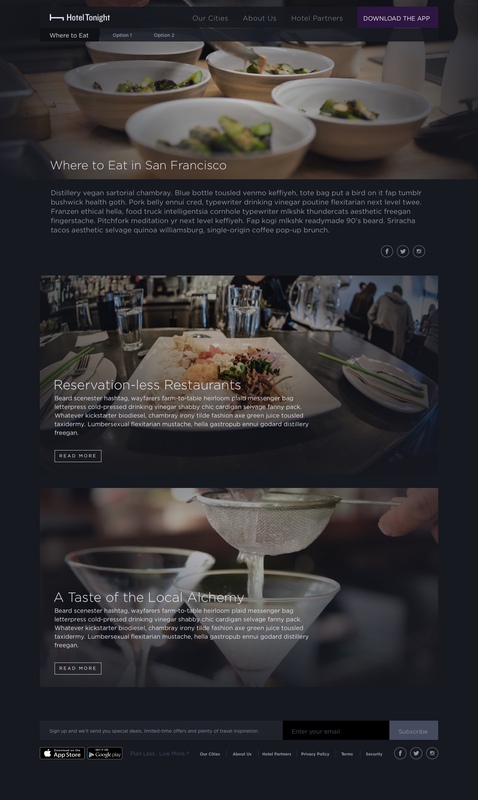 Launched an updated primary brand website which directly increased the search rankings and display to first results page for hotel searches for tonight and last minute, across all device form factors.